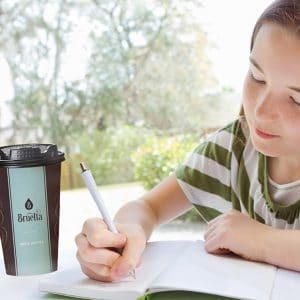 Bruetta's BruLid filters our specialty loose leaf tea as you drink. Loose leaf tea has never been this easy. Bruetta™ gives you gourmet flavor in an instant. There’s a filter in the lid. It filters as you drink. There's no going back once you've tried it. Tea leaves float freely in the cup. No infusers or messy bags! Now the great taste of loose leaf tea is easier then ever. And because the tea leaves float freely in the cup they are able to fully extract. No tea pots, large batches, or machines to maintain. 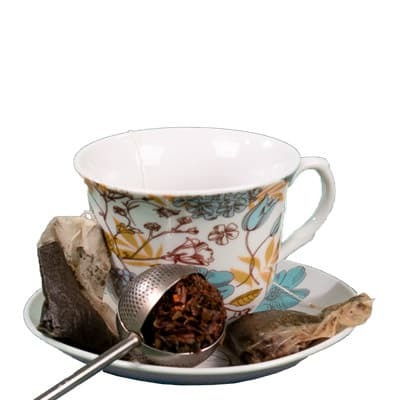 Loose leaf tea is a naturally sweet and filled with antioxidants. People will drink more tea if it tastes better and is more convenient. 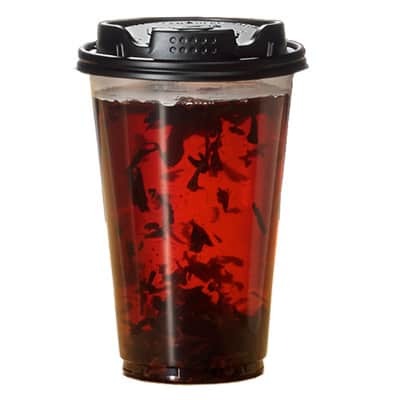 Your tea fully extracts because it stays in the cup, so you use less tea per cup. The filter also reduces messy sloshing while in motion. The next big thing in tea. 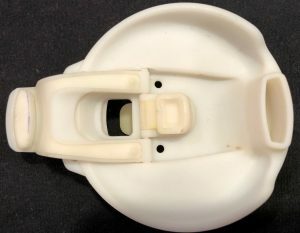 If tea is too strong or becomes bitter, simply use less and/or a lower temperature. By experimenting with amount and temperature you will very quickly find what makes your perfect cup. * The BruSpoon is our proprietary measuring spoon, free with 1st order. * Adjust amounts to taste. If you’re on the high side of tea amount, start with the low side of seep time. So, for example, if you’re in a hurry for iced tea, you could try 3 or 4 scoops with just 1 minute steep time. Don’t know the exact temperature? Just experiment with a cup or two. As long as your water source is hot enough to make tea of any sort, you can use the Bruetta brewing system. 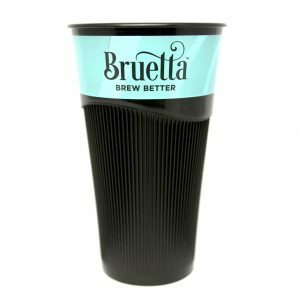 Bruetta is very flexible, but in general, you want hotter water for black teas and slightly cooler water for green tea. For both types, the hotter you brew, the darker and more robust your tea will be. Use slightly cooler water for a slightly sweeter and milder taste. Bruetta teas are very forgiving using the recommended instructions on each label. Other teas may be more sensitive to these variables. More tips on our Troubleshooting/FAQ page. BruLid Also Minimizes Messy Sloshing! 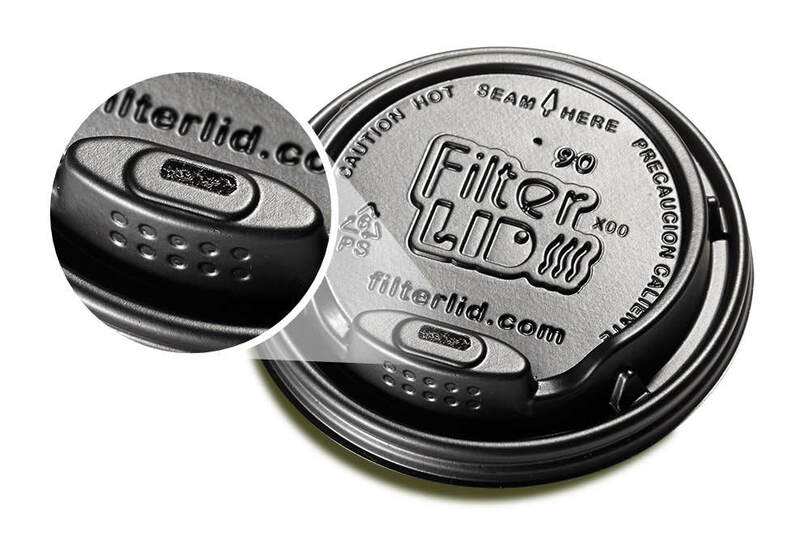 BruLid's integrated filter reduces spills caused by sloshing! 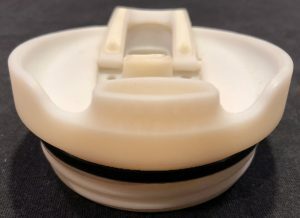 See this video comparing conventional lids to the BruLid. We have a BPA-free reusable plastic cup, available now for use with our disposable lids. We also have reusable travel mug in the works for early 2019! 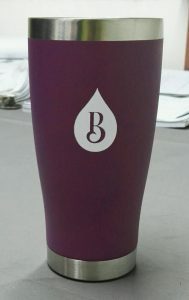 It is a stainless steel tumbler with plastic BruLid.